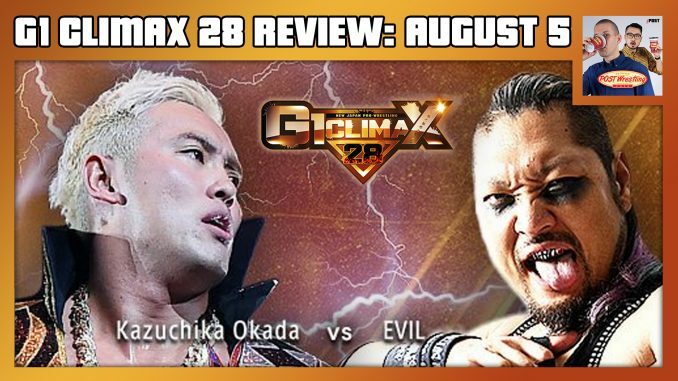 Wai Ting is joined by Fraser Marriott, a man in the midst of attending all 19 shows of the G1 Climax 28, to review Day 15 of the tournament. Fraser discusses his experience travelling through Japan to watch the entire tournament live, including his unique take on a bizarre Tama Tonga interaction with an unruly fan during today’s show. Day 15 (August 5) is headlined by Kazuchika Okada vs. EVIL and Hiroshi Tanahashi vs. Michael Elgin.